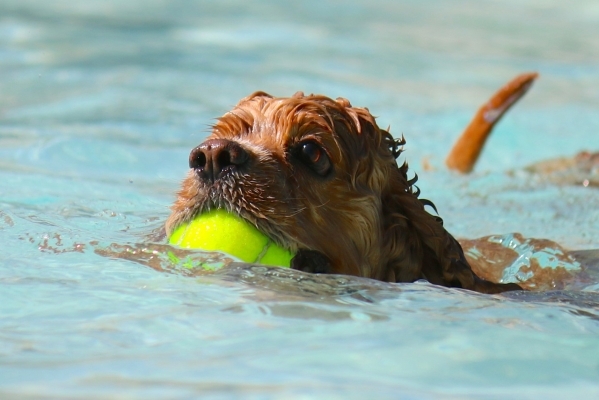 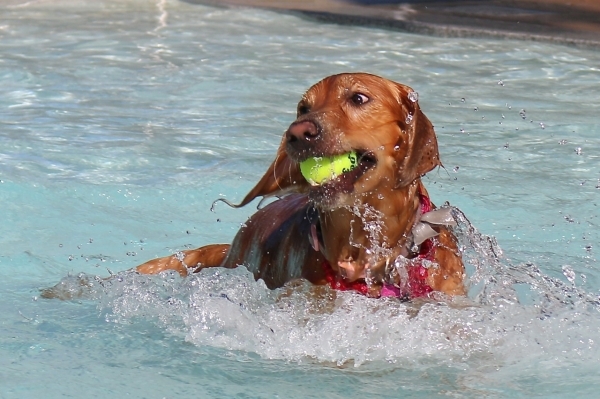 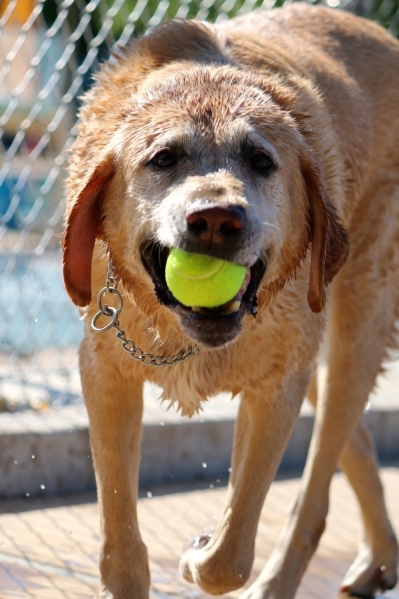 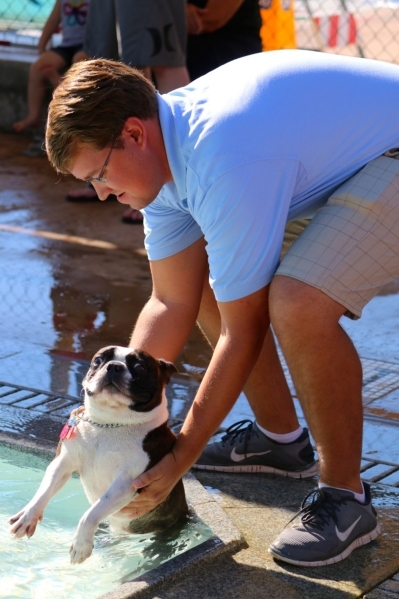 The doggy paddle was the stroke of choice as Boulder City’s canine residents enjoyed a dip in the municipal pool Saturday morning during the Soggy Doggy event. 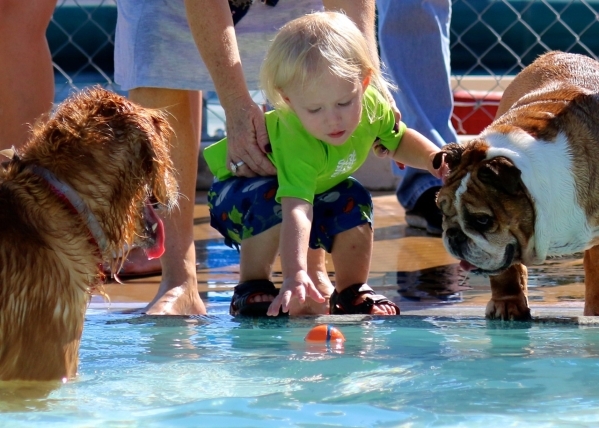 Julia Tregnan, 10, at right with the ball, and her brother Sean 12, brought their dog Molly, who is between them, to the “pool pawty.” They “had a blast” playing with all the dogs throughout the morning. 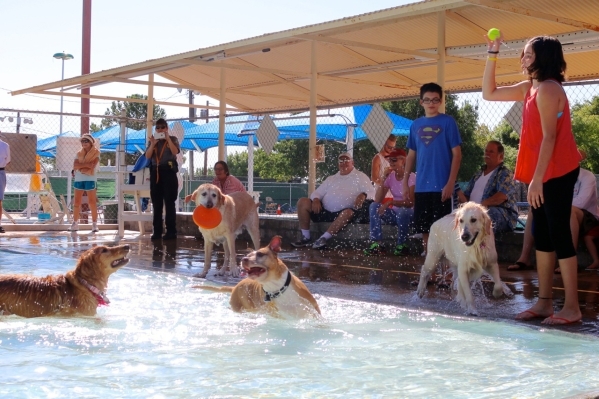 The end of the season celebration allowed residents’ canine companions to enjoy a chance to cool off before the pool closed. 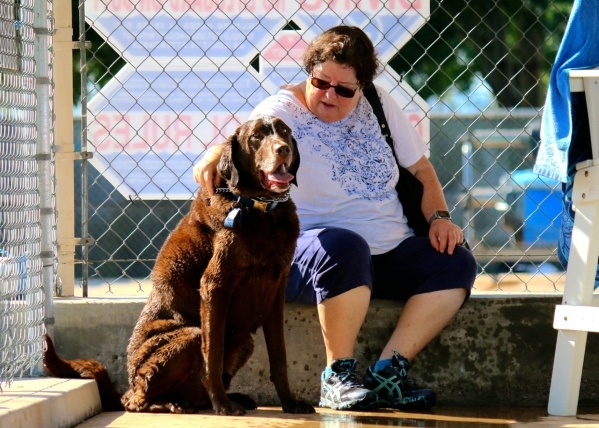 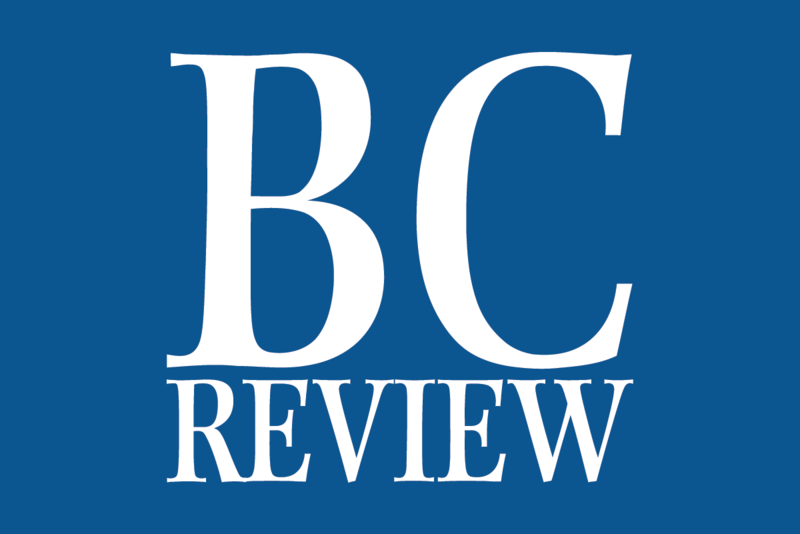 For more photos, visit www.bouldercityreview.com.